My first impression was that it's way too dark and doesn't represent the red, white and blue color scheme, but it occurred to me that it could be just how the scene was shot here or she might have a number of different type of armors she wears similar to how Captain America now has a dark version of his costume. Still, what if this is exactly how it looks throughout the movie? I don't know that I would really care. In the year 2014, I don't think there is much reward in being vested in how your favorite comic book character looks. If (and more likely _when_) your favorite character is brought to the big (or small) screen, odds are they will look quite a bit different from what you would like. 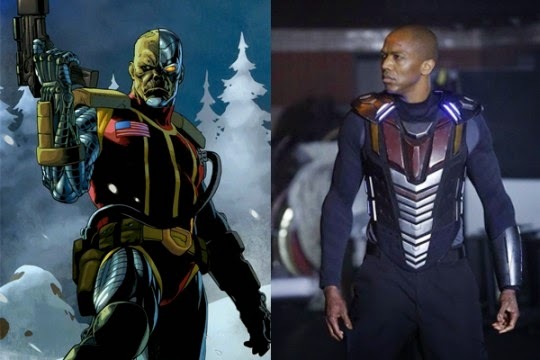 I guess Marvel's Agents of SHIELD version of Deathlok sort of broke me. I now view these things as completely separate entities (which is what they really are) that are inspired by the comics I love. 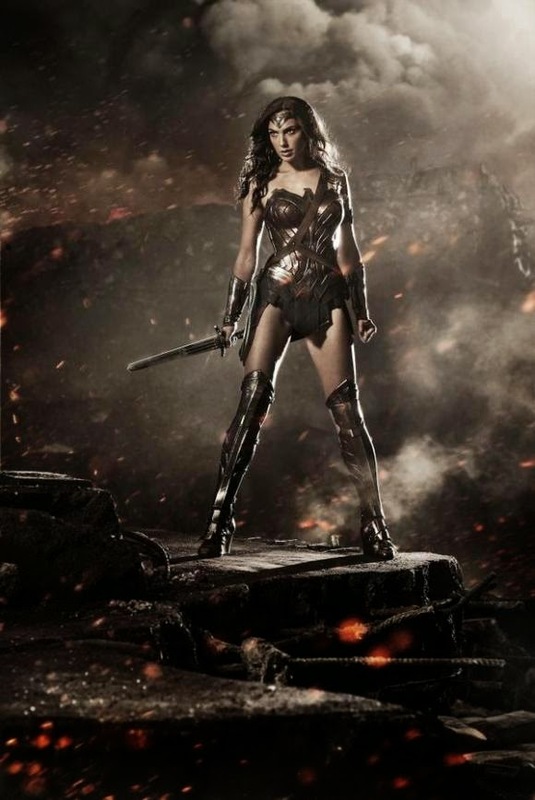 It's a bit like watching Xena, Warrior Princess and viewing it from the lens of What If Wonder Woman Was Like This? But that's just me. I totally get it if you hate the preview image of Gal Gadot. I specifically picked that episode of H50 to watch because I wanted to see David Wayne on the show. It's not uncommon for me to hunt down favorite actors on other shows. 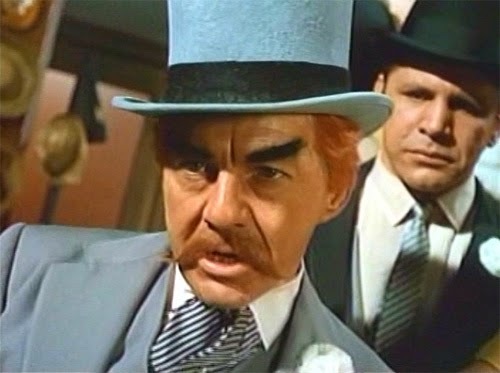 It occurred to me other people might be like me, so today, I'm going to put together a list of television appearances of the various Big 4 villains from the Batman series. 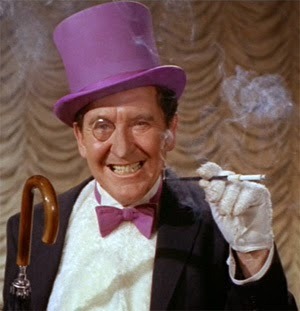 I'll start with the actor with the most prodigious credits of the big 4. I will also note when a specific show is available online (via a legitimate streaming service.) Note, because streaming services change up the content on a regular basis, what I mention below may not be available if you are reading this post at a later date. 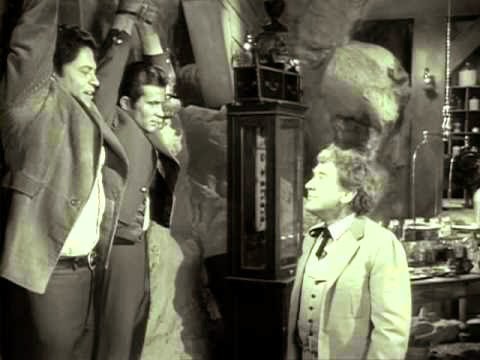 - The Christmas Tie (1956) ... Avon Horsley Jr.
Often, I find myself trapped by the comics-centric nature of this blog, as it prevents me from delving into subjects I would like to write about (Scooby Doo, The Classic Universal Monsters, The Marx Brothers, ect...) There usually isn't much of an opportunity for me to give even a shout out to such topics here. The Horror Lovers is the story of the humorous shenanigans at a small low budget horror studio (Bloody Hell Studios) during the golden age of film. 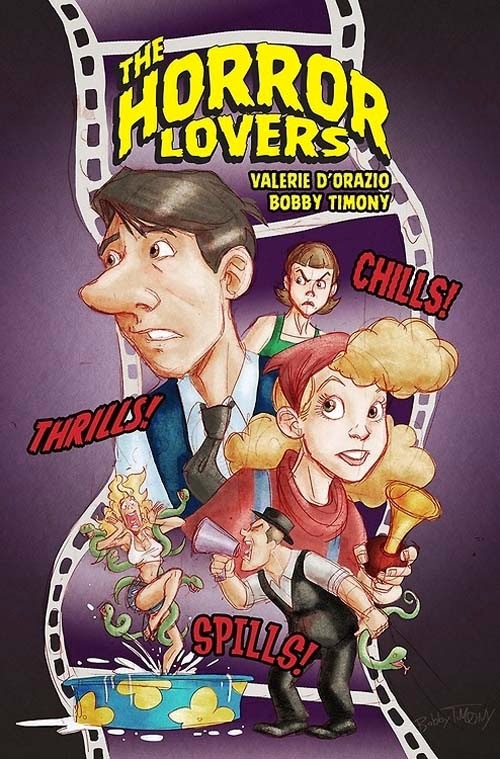 The preview pages present a fun blend of 1950's Mad Magazine zaniness and Marx Brothers humor. But one day Terry's fiancée DEBBIE gives him an ultimatum: quit wasting his time at the movie studio, or risk everyone finding out about his DEEPEST, DARKEST SECRET! But when somebody ends up dead at the bottom of a giant cake, EVERYONE'S a suspect! Is Archie In The Dark? 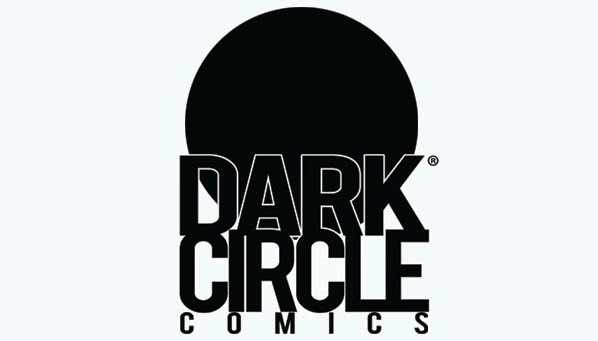 as Editor Alex Segura is hired to help relaunch the line with a more modern comics approach. ...my knee-jerk reaction was a face-palm at the idea of more Grim and Gritty comics, but that's not exactly what the press release says. Actually, very little is said in the USA Today about the new direction except that they hope to emulate the type of storytelling you see in such popular television shows as True Detective, Boardwalk Empire and Orange is the New Black. Listing off a series of popular television shows is pretty easy. Creating comics that are just as compelling as those shows is not. Even if what you intend to do is carry over the sensibilities of those shows, I'd say that's not too different than what we are currently seeing in half the New DC 52 comics that are failing now. At least the last incarnation of the Red Circle line had a look and feel that made it stand out from the crowd. I suspect this new line will be artistically indistinguishable from anything Marvel or DC currently put out. Overall, I think this type of turnaround strategy falls somewhere between let's use electric guitars in church and let's start a facebook page. It's anachronistic and overdone. Could they reinvent the Archie heroes in a The Authority fashion like Warren Ellis did? As I mentally prepare myself for Dawn of the Planet of the Apes today, I thought it might be a good time to let you know about some other awesome retroness I've been enjoying lately. First up is Star Trek Continues. 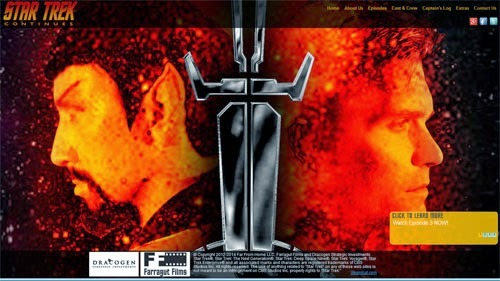 This is a fan produced web based video series on YouTube that casts several talented actors in the roles of the original Star Trek series. They've got 3 episodes up currently with the latest being a fantastic twist on the classic Mirror, Mirror episode. If last summer's Into Darkness left a bad taste in your mouth, this is what you need to wash it out. 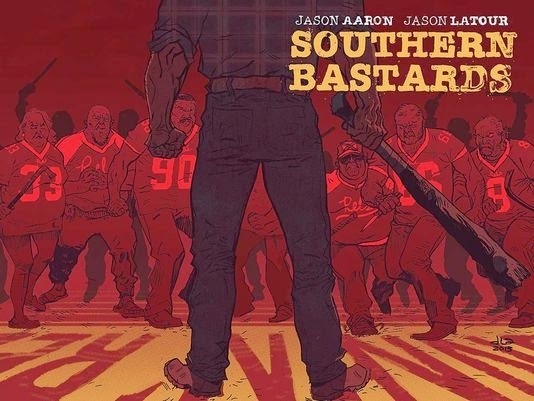 Next up is a comic series with a definite retro vibe: Southern Bastards by Jason Aaron and Jason Latour. It's basically a spin on Walking Tall (sort of a sequel) which at times feels a bit like a ritural dance, but Latour's artwork sells the story. I've been giving Aaron's Original Sins heck on this site (and rightly so) but this is more like his excellent run on Scalped. Finally, this last item is something I picked up at HeroesCon 2014 at the Twomorrows Publishing booth. A complete history of the Filmation animation studio. 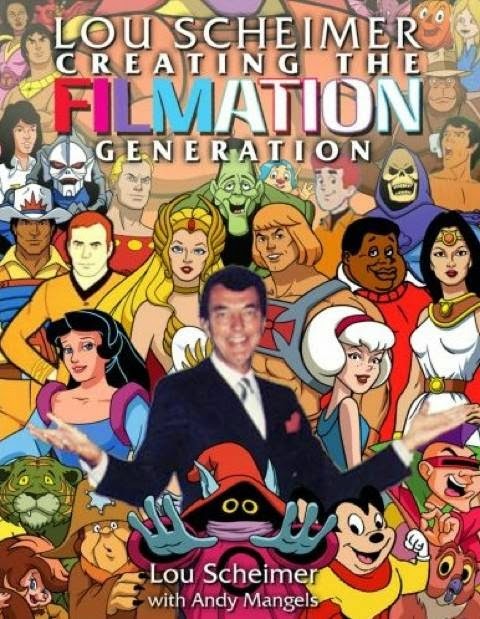 I've always been a fan of many of the classic Filmation cartoons, so I enjoyed reading about the history of the studio as they developed some of the shows that brightened up my Saturday mornings. Now while comic companies suing to protect their intellectual property is nothing new, what made this case significant was that DC was trying to say that Manta and Moray were too derivative of Aquaman. It was this argument that allowed DC to win against Fawcett Comics when they said Captain Marvel was a Superman ripoff. As the book explains, DC had less success against Filmation. Spoiler Warning - if you plan to read the Original Sin Marvel series at a future date, then you will want to avoid this post. I'm going to discuss the ridiculous retcon of Nick Fury in issue 5, so if you don't want the details revealed, go enjoy your 4th of July in some other manner. 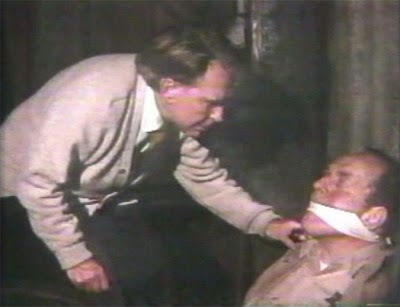 The Original Sin mini-series revolves around a mystery of the death of the Watcher which involved his eyes being plucked from his head. Said eyes seem to be giving off vibrations that cause people to remember things about their past. As story devices go, that's working well enough. The problem is the other plot line in the event (which I've been sort of ignoring. You'll see why.) It's been revealed that someone has been going around the Marvel universe (in Space, the Dark Dimension, the Mole Man's underworld, etc...) and killing aliens, demons and giant subterranean monsters with magic god-killer gamma bullets. Yep. Bullets. Like what come out of a gun. And these MGG bullets are capable of killing an entire living planet. Again, I considered this (sub?) plot sort of rediculous, so I was mostly ignoring it. Unfortunately, in issue 5, the MGG Bullets plot gets a twist that makes it even dumber. Who is the guy running around shooting demons and aliens with magic bullets for the past 50 years? 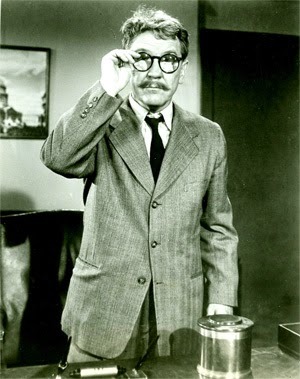 Whereupon Howard Stark (Tony's dad) showed up and offered Fury a position as McCord's replacement. 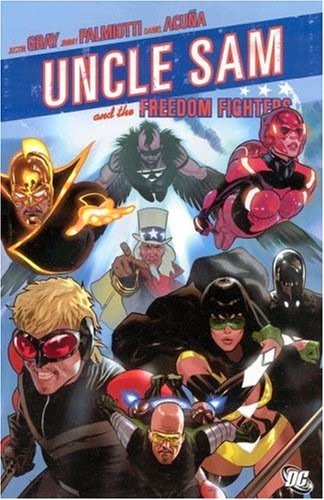 Fury agrees and for the next 50 years Fury leads a double life as a guy who jumps around space and magical dimensions killing threats to Earth with Magic God-killer Gamma Bullets. And his work as Director of SHIELD was basically, as he puts it, a Day Job. And while I try to shrug off modern comics dumbassery like guns that shoot swords, this just was too much to bear. I'm sure, at one point Aaron saw that cover and thought, "Wouldn't it be cool if Nick Fury was a secret Space Agent who went around killing planets with magic god-killer bullets" Note: Aaron has sort of a bullet fixation. In Spider-Man and Wolverine, he made a splash with the idea of a bullet filled with the Pheonix Force. As a What If Story, that might have been cool (I guess.) but I feel it's a bit outlandish to completely redefining the current continuity Nick Fury like this. What Original Sin 5 would have you believe is that all these years that Nick Fury was defending Earth against AIM and Hydra (globe spanning threats that would have been too pervasive for a single superhero) he had access to hyper advanced alien detection equipment and magic god-killer bullets AND was able to jump from space, to the Dark Dimension and the Mole Man's underworld kingdom with no trouble at all. For one, how many alien threats have shown up on Earth? Oh, just about a million. In Fantastic Four alone. In the Marvel Universe as a whole, alien threats have been a backbone of almost half of every major event. So, if Fury was the Man on the Wall, he was doing a cruddy job. The fundamental problem is that they retconned a character when they could have just made up a new one altogether and it would have worked better. Part of me wonders if they didn't want to use Ulysses Bloodstone, but due to a possible rights issue, that direction was nixed? As it stands now, retconning Fury diminishes his previous adventures by saying that was just his day job. His REAL job was when he was shooting up giant demons in Dormmamu's backyard and nobody noticed for the last 40 years! I think it's far fetched that no one (Dr. Strange, Reed Richards, Professor X, etc...) never knew Nick Fury was out there jumping from planet to planet, dimension to dimension shooting aliens and monsters, and just leaving the bodies behind, and no one ever noticed and said anything about it. The Anatomy Lesson this ain't!